Just a week after his state murder trial in the death of Walter Scott ended with a hung jury, a source close to the case said Tuesday that federal prosecutors expect to try former North Charleston, S.C., Police Officer Michael Slager sometime this spring. As previously reported on The Root, state prosecutor Scarlett A. Wilson promised last week to retry Slager, 35, for murder in the death of 50-year-old Scott, who was unarmed and running from a traffic stop when Slager shot him in the back. Slager is charged with three federal counts that were put on hold until the state proceeding wrapped up, and according to a report by the Post and Courier, attorneys in the federal case met privately with U.S. District Judge David Norton to discuss plans for moving forward with the trial this spring. No trial date has been set. The Post and Courier reports that Wilson is pushing for her case against Slager to be heard again quickly, but the scheduling would be up to presiding Circuit Judge Clifton Newman, and it is unknown if that trial would be scheduled earlier than the pending federal trial. Slager stopped Scott on April 4, 2015, for a broken taillight. After a brief interaction, Scott ran away from the traffic stop. 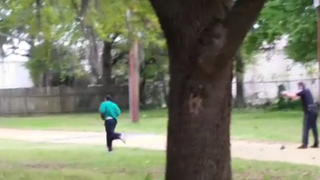 Slager chased Scott down and attempted to use his Taser to subdue him. He said that Scott grabbed the Taser from him, but an eyewitness video contradicted that account. The video led to Slager’s arrest by state investigators three days later, and the FBI and U.S. Attorney’s Office opened their own investigation into the shooting, which led to three federal charges against Slager. The federal charges against Slager include deprivation of rights under the color of law, using a firearm during the commission of the aforementioned civil rights offense and obstruction of justice for misleading investigators by indicating that he had shot at Scott as Scott came at him with the Taser. According to the Post and Courier, Slager would face up to life in prison if convicted of the deprivation of rights under the color-of-law charge. Had he been convicted of murder in his state trial, he would have faced the same sentence.